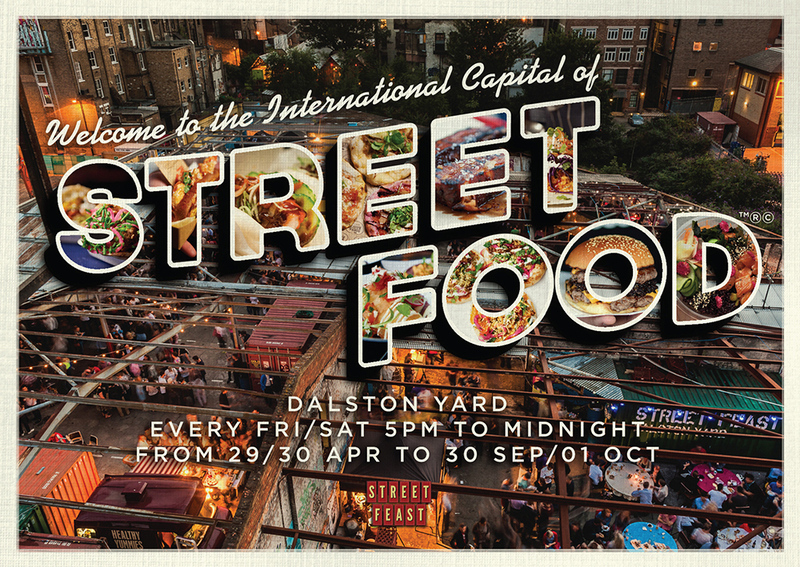 Dalston Yard, Street Feast's north London home of street food and vibes, opens for 2016 on Friday 29th April, and will open every Friday and Saturday until 1st October. This year the line up includes Breddos Tacos, Kimchinary's burritos, STAKEhaus, Bleecker Burger, B.O.B. 's Lobster, Club Mexicana, Petare, and lots of other great traders with flavours from all over the world, plus bars and all sorts of other things going on. It's always great - can't wait to see what they've got in store for us this year! "Street Feast returns to Dalston Yard on Fri/Sat 29/30 April for another summer of street food, bringing a line-up of 16 fantastic traders, 12 brilliant bars and unrivalled vibes to the heart of E8. 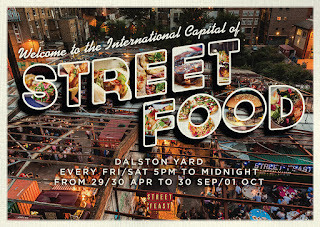 Street Feast Dalston Yard launches on Fri/Sat 29/30 April, running all summer long until 01 October. Start with a British aperitif at Kamm Shed, then eat your way around the Yard with modern Mexican tacos and tostadas at Breddos, Venezuelan hot pockets from Petare and kimchi loaded Korean burritos at Kimchinary before finishing with squidgy brownie bites from Bad Brownie. Make a move to one of our single-spirit bars and discover dessert island drinks at the Rum Shack, over 40 winning gins at the Gin Store and the Whisky Bar’s #Whisky50. For excellent group boozing, order an Uber Melon, Giant Pineapple or Sharing Coconut at Rotary Bar. Remember to eat responsibly. If you get chilly after dark, make a visit to Street Vin via STAKEhaus - go sharesies on a steak plate, order a magnum between mates and we’ll see you by the fire pits for a snuggle."